Whether starting your first small business, or learning to expand your thriving enterprise, we have the tools for you. Our Business Services include competitive checking and resources to ensure your business is well positioned to achieve your professional goals. 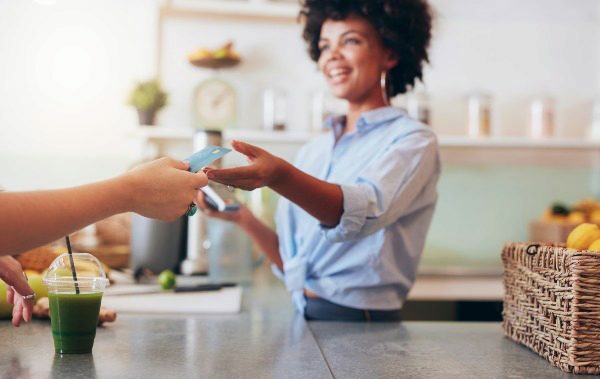 We partner with a merchant services company to provide you with everything you need to accept credit card payments including our point-of-sales, mobile payments, gift card services, invoices, and more. As a member and account holder with BMI Federal Credit Union, you will have access to our Small Business Network for business services. Learn business tips, how to build your website, hire your team, assess risk, manage HR needs, and market your company. View our checklist of required forms to open your new Business Account. Whether you have a dream or a thriving enterprise, Business Services can you help through every step of the application process.